It’s time for Fort Wayne’s expanded recycling program to begin. We will be in a transition period for a couple of months as the new yellow-topped bins are delivered, but that does not mean we have to wait for the bin to arrive to start following the new recycling guidelines. The Solid Waste Department will accept plastics 1-7, etc. in the old bins UNTIL your yellow-topped bin is delivered. Go to www.cityoffortwayne.org/publicworks/solid-waste-management/one-cart-recycling-program to get educated on the new recycling program. Did you know that there are new rules for trash and new recycling bins placement? If not, click on the “Proper Cart Placement Information Sheet”. Sign up for your new bin is easy; just call 311. The highest vote total of the remaining candidates was 76. Thanks to everyone who was willing to run for the Board. Thanks to all the residents who reviewed the candidate’s statements and cast their ballots. The collected comments from the ballots will be the subject of a post in the near future. Ballot deadline approaches; call 311 for recycling carts; Christmas tree recycling ending soon. Homeowners: Board of Directors ballots are due this Saturday in our post office box! So if you’re still planning to vote, please get those ballots in the mail ASAP. All residents: Be sure to sign up for the new City Recycling Carts! These carts are similar to the garbage carts and will replace the current bin system. The carts will only be delivered to addresses that request one. Delivery of the carts hasn’t happened in Historic Southwood Park yet, so be in the first wave of deliveries by signing up now. Once the carts are delivered to the neighborhood, the bins will no longer be accepted. Call 311 or visit http://cityoffortwayne.org/publicworks/solid-waste-management/one-cart-recycling-program.html to sign up. Also approaching is the end of Christmas tree recycling at Foster Park West. The last day for that service is January 14th. Information on a pay for (private) pickup service for trees is available at 456-0330. A Boeing 747-400 passenger jet can hold 416 passengers. This blog was viewed about 7,900 times in 2010. That’s about 19 full 747s. In 2010, there were 74 new posts, growing the total archive of this blog to 143 posts. There were 99 pictures uploaded, taking up a total of 59mb. That’s about 2 pictures per week. The busiest day of the year was September 16th with 205 views. The most popular post that day was September 2010 newsletter available. The top referring sites in 2010 were facebook.com, southwoodpark.org, mail.live.com, mail.yahoo.com, and my.yahoo.com. Some visitors came searching, mostly for southwood park fort wayne, southwood park, southwood park neighborhood association, southwoodpark.org, and southwood park association. The Allen County Solid Waste Management District will accept Christmas trees at the Foster Park West parking lot until January 14th. See http://www.acwastewatcher.org/events/index.html?ID=events_and_programs1127508960 for details. Did you buy a live tree without a good plan for hauling it away? I recieved a flyer today from Connor Loechner’s Christmas Tree Pickup Service. An enterprising young person is hauling away 8 ft. trees for $10, trees over 8 ft. are $1 more per foot. Call 456-0330 for more information. You’re probably making last minute preparations for gatherings and travel, but don’t forget to have your mail stopped, set your light timers and have a neighbor watch your home while you’re gone. 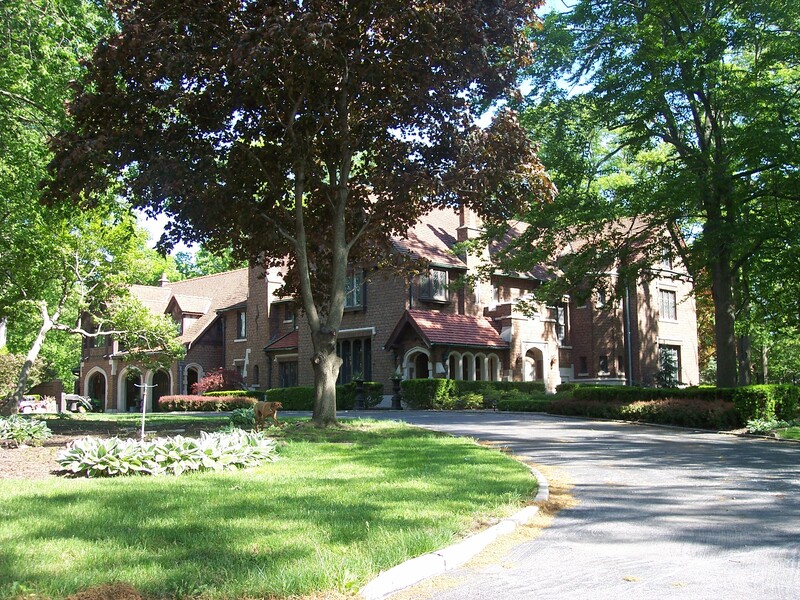 Call Allen Protection Services to arrange vacation checks of your home: 747-7700. Try to make sure your walks are cleared, both for pedestrians and to make sure your home looks occupied! After the holidays, avoid placing large electronics boxes at the curb. It’s like an advertisement that you’ve got good stuff to nab. There have been reports of suspicous snow-shovellers knocking door-to-door. If you notice anything amiss, phone FWPD. 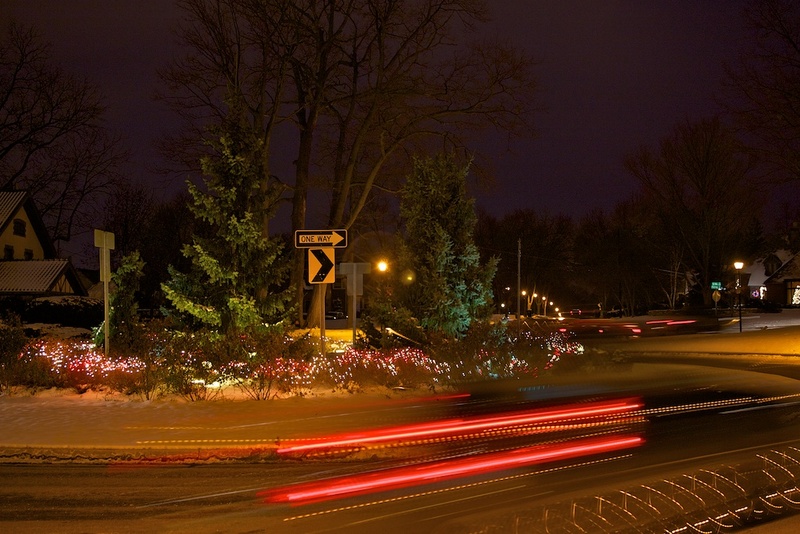 Thank you, John Gevers, for the wonderful photo of the lighted Roundabout! Please return your completed ballots by January 8th. Statements of candidacy appear in the newsletter to help you learn who the candidiates are. Association dues need to be turned in by January 31 to be on time.